Photographs as Art: Some of these are combinations of two or more images. Can you tell which ones? 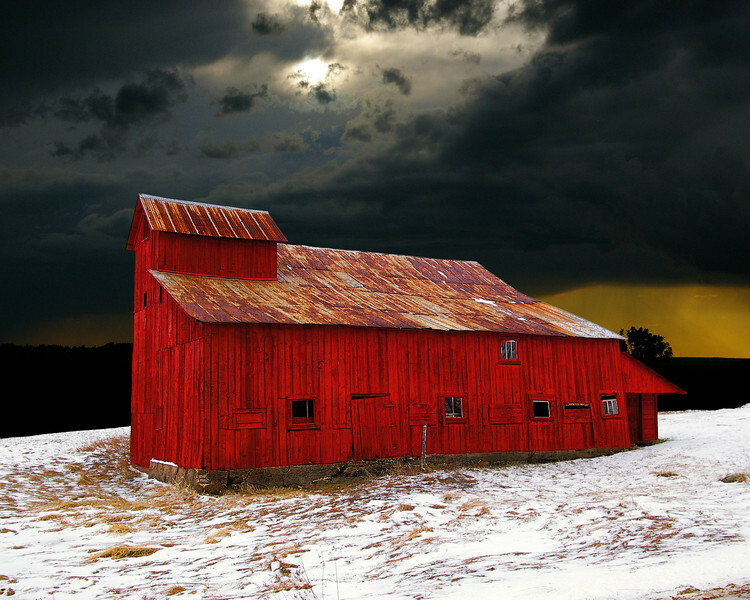 Newly painted, this barn was about to be renovated under a Historical Preservation Act grant. It blew down shortly after I took this photo. and has since been rebuilt. The "new" historic barn lacks the charm of this old one.